We’d all like to spend more time with our dogs. In fact, I bet a good number of readers would be happy to never leave their dog’s side. Unfortunately, modern life often gets in the way. So, what does your dog do when you wave goodbye and head out into the world without them? Do they happily chew on a bone in the kennel until you return? Do they lie by the door with ears perked, ready to greet you at a moment’s notice? Or do they whine, bark, pace, and chew, turning from model canine citizen into psycho-dog? If you’re dealing with this unfortunate scenario or something similar, there’s a good chance your dog is suffering from separation anxiety. Separation anxiety in dogs can be stressful for everyone, and it is actually one of the most common reasons people give up their dogs. The good news is, that you can take steps to relieve your dog’s anxiety and end their destructive behavior without sending them away. Yes, it takes a good deal of patience, but the results are totally worth it. Here’s what you need to know about your Labrador’s separation anxiety. 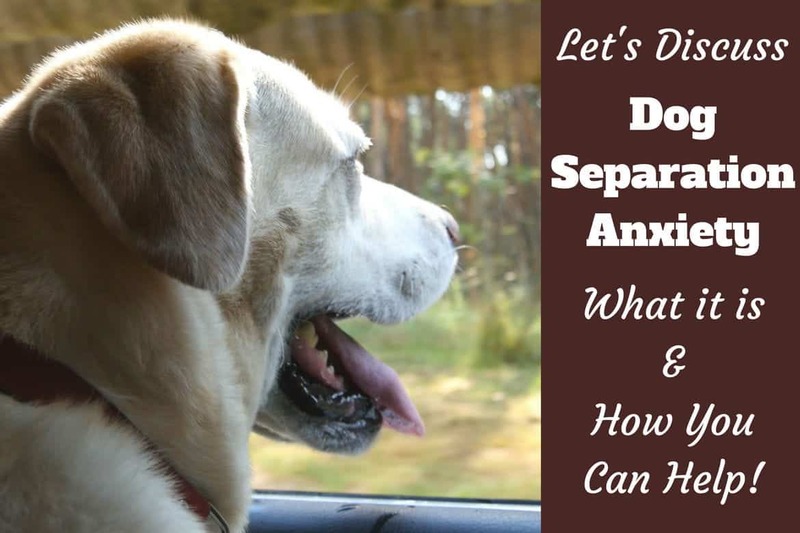 What Exactly is Separation Anxiety in Dogs? Your dog’s breed – Domesticated dogs have been bred for years to live, work, and play in close proximity to humans. Some breeds are more people-oriented than others, and being left alone for long periods tends to make them anxious. I Heart Dogs has a good overview of the 12 most anxiety-prone dog breeds. An abrupt change in schedule – A drastic change in your dog’s schedule or lifestyle may cause your dog to become stressed, especially if they are used to having someone with them most of the day, and then the schedule changes and they have to be left home alone for extended periods of time. A change in family dynamics – Perhaps you have a child who has just left for college, or you’ve welcomed a new resident (human or canine) into your household. These transitions may negatively affect your dog, especially if they aren’t getting the attention they’re used to. A move to a new home – Like people, dogs become attached to the place they live. A sudden move will turn their lives upside down and may cause separation anxiety. Incontinence – If your dog is house trained but is having accidents in the house, there may be a medical issue going on. Incontinence can be caused by medication, diabetes, kidney disease, a urinary tract infection, a weak sphincter, a hormonal imbalance, or other issues. Your dog may also be prone to urinating when excited, which will usually happen when you greet them. If your dog has separation anxiety, they will only defecate or urinate when you are away from home. Teething – If your dog is a puppy, they may be chewing inappropriately because they are teething. Chewing and destruction due to separation anxiety will only occur when you are away from home, and will happen in conjunction with other behavioral issues. 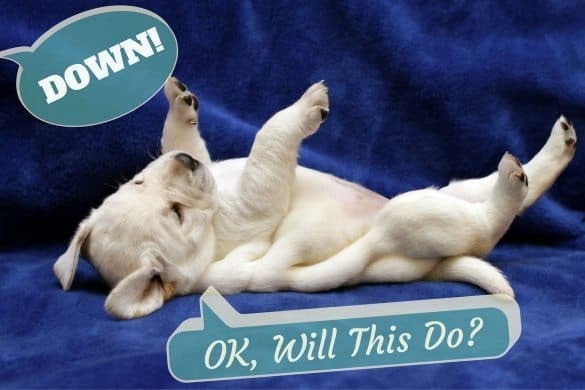 Boredom – This is a tricky one because dogs who are bored will often chew or destroy things when nobody is around. Dogs who are acting out because they are bored will not usually appear anxious when you are getting ready to leave. Environmental triggers – Your dog may bark or howl because of stimulus outside of your home. If you have a very vocal dog, they will usually bark even when you are around. It isn’t a sign of separation anxiety unless they appear stressed when you leave. Preventing separation anxiety is not always possible. If you adopt an adult dog, you may also adopt separation anxiety. There’s also the possibility that your dog will develop separation anxiety without you even realizing it. At this point, it will be too late to take preventive measures, but you can still work to treat the problem. I will say that separation anxiety is much easier to prevent than it is to treat. If you are starting out with a new puppy, or even a well-adjusted adult dog without symptoms of separation anxiety, there are steps you can take to make your dog comfortable with being alone. The following steps can be used as preventive measures, but they can also be used on anxious dogs along with other treatments. There are so many benefits to crate training your dog. If done properly, your dog will look at their crate as a safe place where they can relax, sleep, or chew a bone. This safe haven will automatically lessen anxiety when you leave your dog behind. The crate will also keep your home safe from destruction and accidents. Lastly, a dog who is crate trained will adjust easier to being kenneled or left with a sitter when you go on vacation. We have lots of resources for crate training on Labrador Training HQ, including how to crate train a puppy or an older dog. If you are just getting started with crate training, I’d recommend starting with the Ultimate Guide. Yes, this is a skill that should be taught, especially if you are retired, are a stay-at-home parent, or work from home. A dog who is rarely left behind just doesn’t know what to do when it happens. You don’t want to put you or your dog in a situation where you can’t leave them when you need to. So how do you teach your dog to be alone? Start by making your departure an event to look forward to. Keep a stash of high-value treats and chew toys to distract your dog when you’re away. In the beginning, you should leave your dog for just a few minutes and slowly build up to longer periods. Give your dog a special bone or chew toy and put them in the crate. Leave the house for a few minutes and come back before your dog starts to whine or bark. If your dog is quiet and happy, let them out of the crate. Wasn’t that fun? Do not make a big deal out of coming and going. Do this at least once a day, slowly building up to longer periods. At first you will want to stay near by so you can watch/listen for signs of anxiety. Before long you should be able to leave for longer periods without worrying. How animated does your dog get when you come home? If your dog is over-the-moon excited to see you, and shows it by tearing around the house, jumping, barking, and whining, it’s time to make a change. This arousal could eventually lead to a dog that hates being left alone at all. Dogs are experts at picking up on your emotions, so if you let them know that departures are no big deal, they’ll take the cue. Make the coming and going transitions easier on your dog by keeping them low key. In fact, you don’t even have to make an issue of them. Ignore your dog’s excitement when you greet them. Say hello and pet them after they’ve calmed down. When you leave the house, don’t make a fuss – crate your pup, give them their goodies, and walk out the door. This may be hard for you at first, but it will pay off in the long run. While exercise alone won’t prevent separation anxiety in dogs, it will definitely help them relax while you’re away. A dog with pent up energy will be more likely to act out. A tired dog will be more likely to sleep away the day. So how much exercise does your Labrador need? In part, this will depend on your dog’s age and temperament, but most dogs need between 45 minutes and two hours every day. Read more about exercise requirements for dogs here. 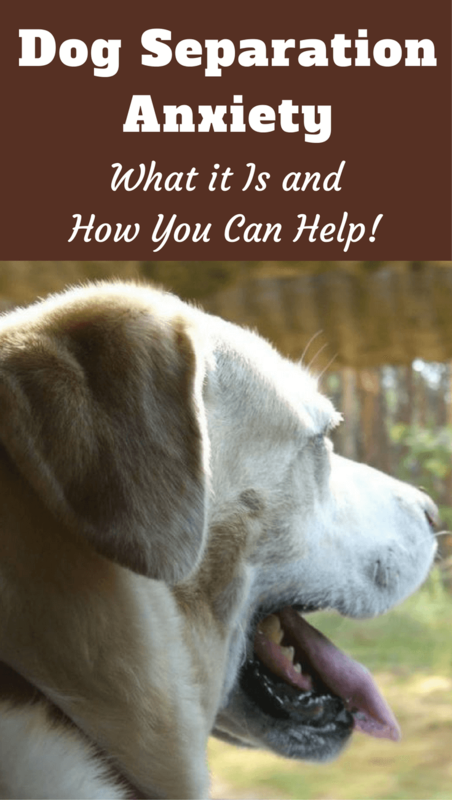 Before you begin working with your dog to ease their symptoms, you need to develop a plan for managing their destructive behavior as you move forward. Working through your dog’s separation anxiety and eradicating their destructive behavior will take several weeks. Have someone come stay with your dog while you’re at work – This can be a friend, neighbor, or a hired pet sitter. It’s important that your dog not be left alone while you are treating their symptoms. Bring your dog to work with you – This isn’t possible for everyone, but it’s a good solution for some people. Bring your dog to a doggy daycare facility – Doggy daycare can be a great option for keeping your dog occupied during the day while you work. Bring your dog to a sitter – Ask someone to watch your dog in their home while you treat your dog’s separation anxiety. If you and your dog are living with separation anxiety, the first thing you need to do is take a deep breath. Yes, solving this issue will take patience and persistence. It may even require professional help. In the long run, taking steps to improve and eventually eradicate your dog’s separation anxiety will be so much better than living with the problem. Your dog (and the rest of your family) will thank you. We’re going to look at three different approaches to helping your dog with separation anxiety – training, natural treatments and therapies, and medications. Sometimes training will be enough. Sometimes you will need to implement a combination of the treatments below. Every dog and treatment plan will be different, and what works for some may not work for others. Let’s dig in! Combined with reducing your dog’s stress and boredom, these training exercises will go a long way toward keeping your dog calm and composed when you leave them behind. We talked a bit about crate training above. The crate is a great tool to use when working with an anxious dog. The caveat is that your dog must love being in the crate for it to be effective. If your dog doesn’t feel comfortable in the crate, leaving them in it when you leave will only make matters worse. Work through the articles mentioned in the crate training session to help your dog accept the crate as a safe and comfortable place to relax. If your dog panics when you leave the house, you need to work on desensitizing them VERY slowly. You may have to take some time off work so you can really work with your dog on this. Start by leaving your pet in one room while you move about the house. You can put your dog in the crate or just gate off one room in your home that your dog feels comfortable in. In order to make the experience positive, you need to come back to your dog before they show signs of distress. At first this could be every 20 seconds, but eventually your dog will understand that your absence doesn’t equal disaster. When your dog is used to being left in other rooms of your house, it’s time to practice leaving the house altogether. If your dog becomes anxious when you put on your coat or pick up your shoes, you will have to start by doing these things when you aren’t actually leaving. Again, the goal is to keep things positive. Jingle your keys and reward your dog with treats for remaining calm. Once your pup is no longer reacting to these triggers, you can grab your keys, put on your coat and slip out the door. Stand outside for just 20 seconds and be sure to come back inside before you hear your dog start barking. Reward your dog with a few treats, but don’t get them too excited. Remember coming home is not a big deal. You may have to go in and out several times a day before your dog understands that it isn’t reason for alarm. 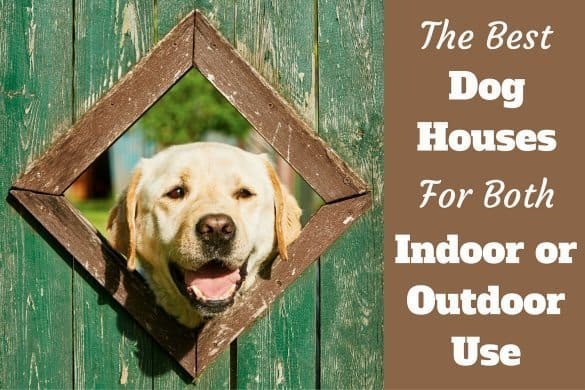 Be sure to stay right outside the door so that you can hear if your dog gets upset. When your dog starts to get the hang of it, you can start to stay away for longer periods. Give your dog a high-value chew toy and put them in the crate (if they are comfortable there). Get in your car and drive around the block. Run a few errands. Go out to lunch. 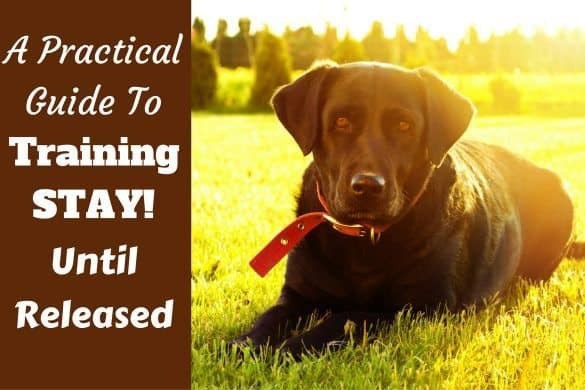 If you are consistent and patient with these steps, you should be able to leave your dog for longer and longer periods based on their behaviors. If your dog’s separation anxiety is severe, medications can help ease their anxiety as you work through the training methods above. These medications have proven effective at treating separation anxiety, but they should always be used under direct supervision of a veterinarian. Fluoxetine – This is the canine version of Prozac, and it often prescribed to ease symptoms over a short period while you work on behavior modification. While effective, fluoxetine does come with risks and side effects. Clomipramine – Clomipramine is an antidepressant used in people, dogs, and cats.  It should be used in conjunction with behavior modification for long term benefits. Amitriptyline – Amitriptyline will start working within the first two weeks of use. It is and antidepressant that will calm your dog when they are stressed. It also relieves pain. Thundershirts – This is probably the most well-known natural remedy for anxiety in dogs. 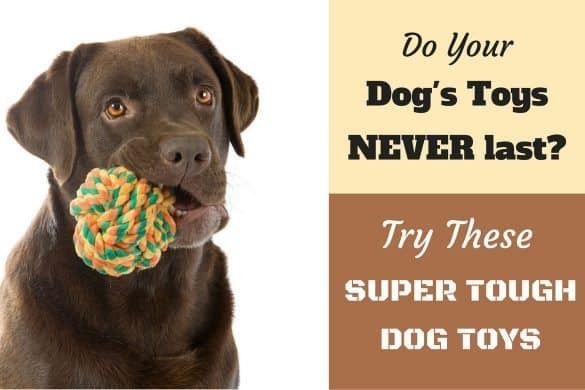 It works by applying constant gentle pressure to your dog’s body. It was initially tested for use with dogs who are fearful of loud noises, but it has been an effective treatment for many dogs dealing with separation anxiety as well. Dog Calming Aid by Particular Paws – This is an herbal supplement that helps ease tension in dogs with separation anxiety and other fears. Like many natural products, it doesn’t work for every dog, but it is definitely worth trying, especially if your dog’s anxiety isn’t severe. Composure Dog Treats for Medium to Large Dogs– These treats help alleviate your dog’s response to environmental stressors. The three main ingredients – L-theanine, thiamine, and colostrum complex, are meant to soothe and relax you dog. Do not punish your dog – Your dog is acting out because of severe stress. By punishing your anxious dog when they destroy things or have accidents, you are actually creating more stress and making the problem worse. Don’t manage the problem with treating the underlying cause – There will be times that you will not have the time or patience to deal with your dog’s behavior resulting from separation anxiety. You may be tempted to bring him to daycare, quit your job, or take him with you everywhere. These are management techniques that will help you in the short term. They will not make the separation anxiety go away, but they will make it easier to deal with. Use these methods if you have to, but be sure to use behavior modification techniques as well. Don’t get another dog – Again, this may ease your dog’s symptoms for a time, but in the long run it won’t help your dog’s issues with being alone. As you can see, there is no easy solution for dealing with separation anxiety in dogs. It takes a multi-faceted approach that will be different for every situation. Start with a diagnosis from a veterinarian, then take steps to manage the behavior while you work on training techniques to desensitize your dog to being alone. 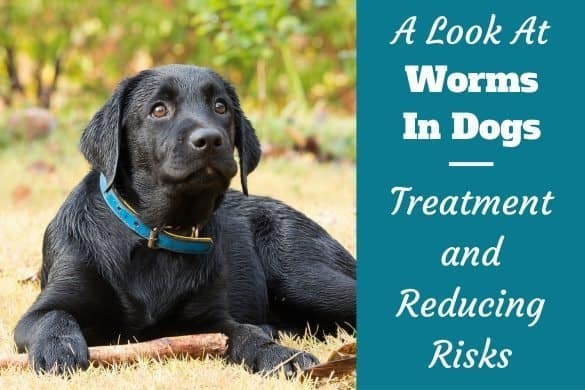 Depending on the severity of your dog’s symptoms, you may want to try natural treatments or prescription medications while you are working through the process. Your dog’s separation anxiety can be hard on everyone. Take it slow and be patient. You’ll be rewarded with a well-adjusted dog who does not overreact to being left behind. Our dogs almost display anxious behaviors when we left them alone because they’re upset and trying to cope with a great deal of stress. I love the quote from Nicole Wilde, author “Don’t Leave Me! Step-by-Step Help for Your Dog’s Separation Anxiety”. He said: “It truly can be one of the most challenging behaviors to deal with, and the more education owners have access to, the better the chances that dogs will stay in their homes.”. Thank for your information!